Mona Tajali is a Postdoctoral Fellow in Middle East Studies at Oxford University. She is a long-term collaborator with the research wing of Women Living Under Muslim Laws (WLUML), and has co-authored a book, titled Electoral Politics: Making Quotas Work for Women (WLUML 2011). Her research appears in journals such as the Journal of Women, Politics and Policy, Anthropology of the Middle East and the Middle East Journal. 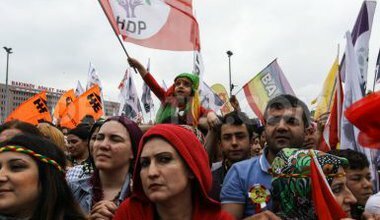 The Turkish HDP's egalitarian gender ideology played a key role in the election of a record number of women to parliament in June's election. Can these gains be sustained in the political turmoil ahead?